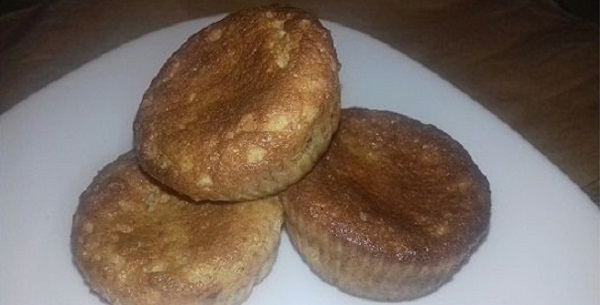 Dukan Muffins Perfect For All Stages! Very Simple and Healthy! You started with the Dukan diet. What to eat, the question is? It’s easy to save lunch, dinner, breakfast … But what to eat for dessert? I present to you fine and soft muffins. Those Dukan muffins will make your holidays more beautiful. Therefore, These muffins are good for Dukan 1st and 2nd stage :). Preparation is very simple and it only takes 10 minutes. So do not waste your time and start to make muffins. From these ingredients drop 8 small muffins. If you are in the 1st phase of Dukan diet, then make sure is not allowed more than 2 muffins per day. At first of all, beat egg whites in the firm snow. Therefore add in it a lemon juice Lemon gives them a special touch and taste. In a larger bowl add the egg yolks, yogurt, cinnamon and vanilla extract. Mix all this on the lowest speed. Now add the egg whites firm and all the other ingredients. With this mixture, charging the muffin molds. Put them to bake at 180 F for 15 minutes. When they are baked, remove it from the mold and let them to cooled. My muffins were baked a little too much, so be careful when you bake them. They should not get too much dark color. It contains no calories or, as it is 600 times sweeter than sugar, are sufficient very small amounts in order to achieve the desired sweetness, so you probably will not consume enough sucralose to enter the calories. The other two ingredients were Splenda, dextrose and maltodextrin, which is used to give fullness and are carbohydrates containing calories. Therefore, one cup of Splenda contains 96 calories and 32 grams of carbohydrates.